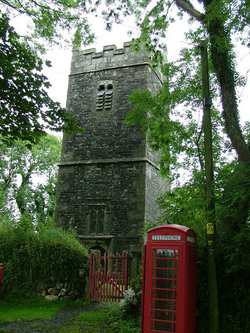 In the village of Otterham is the parish church ~ St Denis. Neighbouring settlements to the village are Otterham Mill, Otterham Down and Otterham Station, all taking their name from the Rivery Ottery which rises in the parish. Email me at weekstmaryopcATgmail.com for FREE specific LOOK UPS in the parish registers for OTTERHAM.